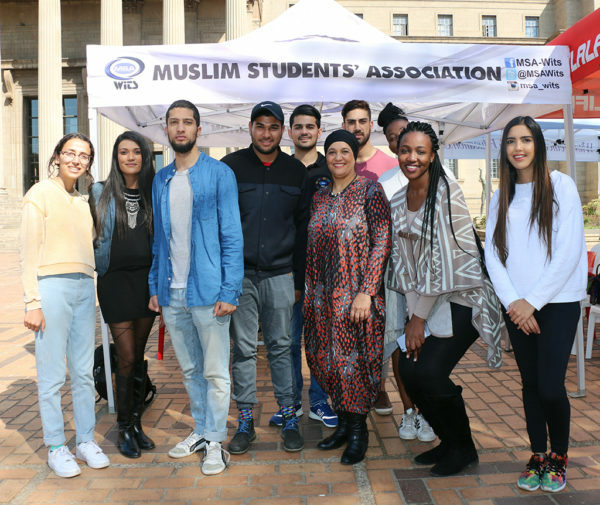 Wits University’s Muslim Students’ Association, hosted a talk, which examined the misconceptions of Muslim women, the incompatibility of patriarchy and Islam. There are misconceptions about Muslim women which have diverted from the true Islamic (Qur’anic) teachings and practices said Rayhaan Hoosain, secretary of the Wits University Muslim Students’ Association (MSA) at its women’s week talk. Social entrepreneur Mooniba Bhyat addressed students on the realities of being a Muslim woman and dispelled the myths surrounding Muslim women, such as the mistaken belief that they are not allowed to have jobs. “I would like to destigmatise the impression that Muslim women aren’t allowed to work. Our prophet Muhammed married a business woman and he actually encouraged Islamic women to be in business and advocated women to be social entrepreneurs and independent. In our day we could study a BSc, work and still go home and cook,” said Bhyat. Second year BA Psychology and South Africa sign language student Nabeela Basa said, “The greatest misconception is that it seems that we [Muslim women] are oppressed and being identified as oppressed can either influence you in being oppressed, which sets boundaries that were not there before.” “Islamic literature is so rich with the rights women have and there have been many [Islamic] movements that have surpassed patriarchal views. I feel empowered as a Muslim woman. The rights are there,” said Basa. Hoosain said one of the aims of MSA women’s week was to dismiss the notion that the Muslim men do not support their women in leadership positions like student leader Shaeera Kalla. “The role of women in Islam is being played down [nowadays] and Islam is seen as a patriarchal religion and the truth is that it’s not. If you look at the Qur’an, the status of women is really elevated. “As a Muslim man I hold women very highly and respect all the women in my life, which are the same views as in the Quran and women shouldn’t be in the background but in the forefront,” said Hoosain. “My journey has taught me to learn more about Islam and the rights of women versus the cultural myths. As women we are allowed to be in business and be an equal partner in any relationship in society,” said Bhyat.